Keith Deller and Colin JAWS Lloyd are taking part in the 6th annual Town Legends of Darts event to raise funds for the Academy Association, on Tuesday 23rd April 2019 at Greshams. The event will be hosted again by the voice of darts Russ Bray, and will include a darts exhibition match featuring 1983 World Champion Deller and former World Number One Jaws. Town players past and present will be joining the duo on the oche to test their darts skills, with fans also invited to take part. A standard ticket to this popular event, is £20 each including a one course meal. VIP places are £50 each which gives you the opportunity to play against Deller & Jaws and ITFC representatives. 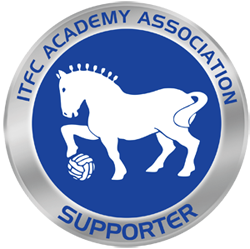 To buy your tickets and for more information, visit ITFC Direct or call 01473 400594.